As the bottleneck in the supply chain, palm oil refineries have the leverage to drive sustainability in the sector. Markets that still accept unsustainable palm oil include the domestic Indonesian market, India, Pakistan and China. 29 company groups with refining capacity have NDPE sourcing policies. The palm oil industry’s transformation towards sustainability gained traction in 2013 when major Southeast Asian palm oil traders/refiners began to embrace ‘No Deforestation No Peat No Exploitation’ (NDPE) sourcing policies. Through such policies, these firms require their suppliers to refrain from clearing forests and peatlands for new oil palm plantations. However, unsustainable practices continue to take place and non-compliant palm continues to be produced, traded and consumed. One of the main reasons for this ‘leakage’ of unsustainable palm oil is that a segment of the refining market does not apply NDPE sourcing criteria. Insights in the market share and primary actors of this segment is crucial to understand both the risk that the sector transformation is halted, as well as the business risks for non-compliant plantation companies. As the bottleneck in the supply chain, palm oil refineries have the leverage to drive sustainability in the sector. The majority of refineries are located in Indonesia (capacity of 45 million MT/year), Malaysia (27 million MT/year) and India (24 million MT/year). 29 company groups with refining capacity have NDPE sourcing policies. However, a number of notable refiners continue to operate without applying any sustainability criteria to their suppliers. In Indonesia and Malaysia, company groups with NDPE policies operate a combined refining capacity of 53.2 million MT per year. This represents 74 percent of the total capacity in these countries. Of the 15 largest refiners in Indonesia and Malaysia, 11 have NDPE policies. Based on refinery count, NDPE policies cover 65 percent of the refinery market in the rest of the world. Markets that still accept unsustainable palm oil include the domestic Indonesian market, India, Pakistan and China. In India, the largest importer of CPO from Indonesia, only 35% of all refineries are operated by companies with NDPE policies. Leakage players that continue to source Crude Palm Oil (CPO) without sustainability requirements include Hayel Saeed Anam (NYSE:HSA) Group, Best Group, Intercontinental Specialty Fats, Felda IFFCO and Ruchi Soya, among others. On average, leakage actors have less refining capacity than NDPE committed companies. The leakage market share is likely to shrink further in the coming years. With refining as the bottleneck of the palm oil supply chain, leakage through non-NDPE committed refiners represent a highly-limited option for non- compliant growers. Increasing transparency in the palm oil supply chain along with continued pressure from civil society, consumers and policy makers, may push leakage actors to the margins of the market. Late-comers in the NDPE market may be expected to pay increasingly significant reparations for previous intentional or unintentional non- compliance. The transformation of the palm oil industry towards deforestation free supply chains is well under way. In the last six years, key industry actors, governments, investors and civil society have taken steps to address deforestation, fires, peatland development and social issues. Measures taken include the adoption of NDPE sourcing policies, sustainable management policies, government moratoria, stop work orders and supply chain transparency. Palm oil refineries continue to source Crude Palm Oil (CPO) without placing meaningful sustainability criteria on the suppliers they source from. Recently adopted NDPE policies are not yet fully implemented. The scope of policies are limited to subsidiaries over which a company group has managerial control. After facing scrutiny, palm oil growers spin off controversial plantations to less transparent entities, often held by the same individuals. CPO mills source from third party plantations. While their own plantation might comply with NDPE requirements, these third-party plantations might not. Large consumer markets may not demand sustainably produced products. Before palm oil reaches its end consumers, CPO undergoes a process of refining to remove colours, odours and flavour. Refined palm oil is then processed into olein and stearin to produce a variety of oils and fats for food, feed and fuel. The refinery phase of the palm oil supply chain is considered a ‘strategic bottleneck;’ It accounts for the fewest number of companies that handle relatively large volumes of palm oil. This can be explained by the fact that refineries require large upfront capital investments, a steady flow of Crude Palm Oil (CPO) inputs, strategic locations with good infrastructure and transportation facilities, and access to domestic or international markets. Investment for a single palm oil refinery can be in the hundreds of millions of dollars. These high sunk costs and supply requirements create barriers to entry for new firms, and explain why refining is mostly conducted by conglomerate companies. The issue of leakage is particularly problematic in the refining phase, as refineries without NDPE sourcing policies create an economic incentive for growers to deforest. Such growers might intentionally defy NDPE requirements by shifting their sales to such refiners. As a result, they could continue to expand their landbank without placing their revenue at risk. This represents a perverse outcome of the transformation efforts, as such parallel supply chains would receive significantly less scrutiny. A sizable leakage market could also push back some of the transformation achievements. Large, vertically integrated conglomerates dominate the refining phase of the palm oil supply chain. Such companies are involved in production, processing and trade of palm oil. Their refineries are supplied by their own mills and plantations, as well as by a large number of third party suppliers. 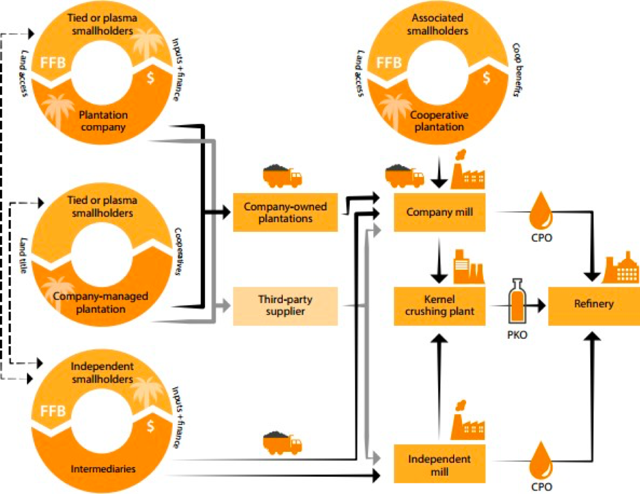 Figure 2: Simplified palm oil value chain from plantation to refinery. Source: CIFOR (2017). Most of the palm oil refineries are located in Asia. Almost half of all the refineries in the world are located in Indonesia and Malaysia, the two countries that together produce 85 percent of the world’s Crude Palm Oil (CPO). Indonesia has a total refining capacity of approximately 45 million MT per year. Chain Reaction Research has identified 78 refineries in Indonesia. Five company groups (Wilmar, Musim Mas, Golden Agri-Resources, Apical and Best Group) account for 66 percent of Indonesian refining capacity. Indonesia has stimulated the development of domestic refining capacity through structured trade tariffs. It has also pushed for increased palm oil based biodiesel consumption. Malaysia holds a total refining capacity of 27 million MT per year. The five largest company groups by capacity (Wilmar, Mewah, IOI, Felda and Sime Darby) account for 60 percent of the market. India’s total edible oil refining capacity stands at 24 million MT per year, but the sector faces significant overcapacity. The lower export duties for refined palm oil in Indonesia and Malaysia has led to an increase of refined palm oil imports, at the expense of capacity utilization in India. In 2016, utilization rates stood at 35-40%. Europe continues to be an important importer and refiner of CPO, primarily because of the use of palm oil in biofuels. The Netherlands is the second-largest export destination for both Malaysian and Indonesian CPO, and is home to seven refineries. Other important European countries include Spain (6 refineries), Germany (5 refineries) and the UK (4 refineries). 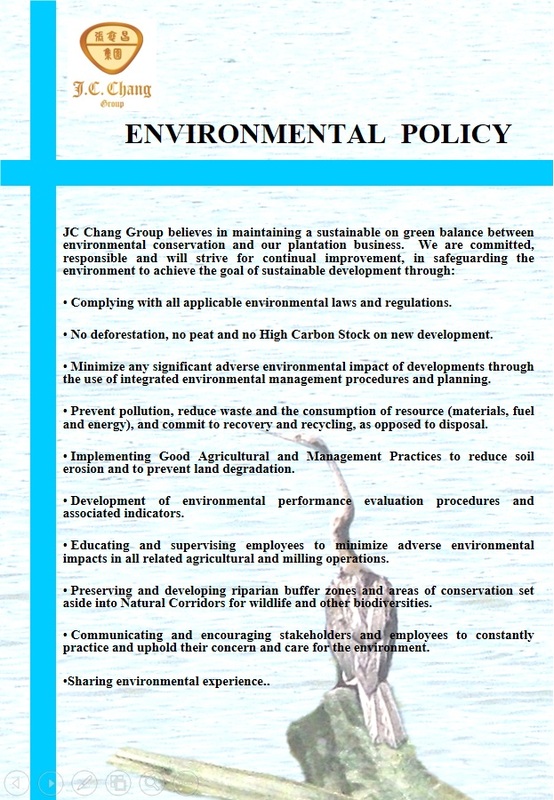 NDPE policies first emerged in 2011, when Golden Agri-Resources (GAR) adopted its Forest Conservation Policy. This policy applied an ambitious definition of High Carbon Stock forests, but the scope of this policy was limited to GAR’s own landbank. Wilmar launched its NDPE policy in December 2013. This policy not only applied to Wilmar’s own operations, but also set requirements to the group’s full supply chain. In subsequent years, several other large traders/refiners followed suit. Most large international palm oil traders/refiners now have NDPE sourcing policies. Through such policies, these firms demand that their suppliers refrain from developing peatlands and forested land into new oil palm plantations. Violations of such policies can lead to suspension or termination of sourcing relations. Zero deforestation has therefore become a criterion for market access to these large traders/refiners. Table 1: Company Groups with Refining Capacity and NDPE Policies. Source: Chain Reaction Research. Not all NDPE policies contain the same stringent requirements for suppliers. The wording and scope of the policy, the presence of measurable and time-bound commitments, sanction mechanisms and grievance procedures can differ between companies. However, most refiners that have adopted NDPE policies are actively implementing them and their combined efforts make it increasingly difficult for growers to escape the “NDPE net”. Non-compliant growers face real risk that supply chain exclusion could put their revenue at risk. In Indonesia and Malaysia, company groups with NDPE policies operate a combined refining capacity of 53.2 million MT per year. This represents 74 percent of the total capacity in these countries. Table 2 (below) shows the 15 largest palm oil refiners in Indonesia and Malaysia. Of these 15 largest companies, 11 have an NDPE policy, while four do not. In total, 25 different company groups with NDPE policies operate 93 refineries in Indonesia and Malaysia. These include the dominant players in the refinery market: Wilmar International, Musim Mas and GAR. On the contrary, 39 companies without NDPE policies operate a total of 51 refineries in these two countries. On average, these are significantly smaller facilities, as their combined capacity amounts to 16.1 million MT/year. For 2.7 million MT/year it remains unknown whether these are covered by NDPE policies. Table 2: Company Groups with the Most Refinery Capacity in Indonesia and Malaysia. Source: Chain Reaction Research. Outside of Indonesia and Malaysia, Chain Reaction Research identified 207 additional refineries. These include large palm oil facilities, but also smaller refineries and facilities that process a range of edible oils including palm. No comprehensive capacity figures are available for these facilities, but their combined production is significantly lower than that of Indonesia and Malaysia. 65 percent (135 out of 207 refineries) of the refineries outside of Indonesia and Malaysia are also covered by NDPE policies. These 135 facilities are operated by 16 company groups. Table 3: Number of Refineries per Country and Share Covered by NDPE Sourcing Policies. India is the largest refining market outside of SE Asia. Here, a mere 35% of refineries are covered by NDPE policies. India is the largest importer of CPO from Indonesia, and the country constitutes a significant leakage market. 90-95 percent of India’s palm oil consumption comes from food and cooking oil, with a significant share sold unbranded to low income households. As such, it is a high volume, low margin industry, dominated by a small number of companies. Perceived barriers to adopt a sustainable sourcing approach include high costs, lack of government support, lack of consumer demand, and remoteness of the environmental and social impacts. The majority of Chinese refineries (86%) are covered by NDPE policies. However, China imports primarily refined palm oil, and little to no CPO due to inhibiting import taxes. Chinese palm oil traders regularly use palm olein as collateral for bank loans, and do not appear to place any sustainability criteria on these products. Such products have already been refined and might have therefore already been subject to NDPE requirements further up the supply chain. NDPE policies cover nearly all palm oil that is refined in Europe, with 100% of refineries in the Netherlands, Germany and the UK held by company groups with such policies. In Spain, two refineries, owned by Vitae Palm and LIPSA, operate without NDPE sourcing policies. Approximately one quarter of the refinery market continues to source palm oil without applying NDPE-sourcing policies. Like the NDPE actors, leakage players are mostly vertically integrated firms that source from their own plantations, as well as third parties. In Indonesia and Malaysia, the bulk of the ‘leakage’ refining capacity is controlled by a handful of company groups. Table 4 shows the companies with the largest combined capacity. Leakage refiners include the Hayel Saeed Anam Group (HSA), Best Group, Intercontinental Specialty Fats/Nisshin Oil, Incasi Raya and Tunas Baru Lampung. On average, the ‘leakage’ refiners are significantly smaller firms than those with NDPE policies. Table 4: Largest Refiners in Indonesia and Malaysia without NDPE Policies. Source: Chain Reaction Research. The three largest refiners in Indonesia and Malaysia that do not have NDPE sourcing policies are Hayel Saeed Group (HSA), BEST Group and Intercontinental Specialty Fats (ISF)/Nisshin Oil. The Hayel Saeed Anam Group (HSA) is a Middle Eastern conglomerate. It operates two refineries in Indonesia and one in Malaysia: Pacific Palmindo Industri (PPI) in Northern Sumatra; Pacific Indopalm Industries in Riau; and Pacific Oils & Fats Industries (PACOIL) in Peninsular Malaysia. HSA is the world’s largest player in the leakage market, with a total refining capacity of 2.4 million MT/year. Much of the palm oil trade and marketing of palm oil products is handled by HSA’s 100% Malaysian subsidiary Pacific Inter-Link (PIL). PIL serves palm oil markets in the Middle East, Africa, China, Ukraine, Turkey, Indonesia and Malaysia. Identified buyers include Ulker (Turkey) and Mohammed Enterprises Tanzania Ltd. The HSA Group is also involved in the ‘Tanah Merah Project’, consisting of seven related concessions with a total landbank of 273,394 ha in Indonesian Papua. This project may be considered as the single largest current threat to Indonesia’s forests. The HSA Group is the 80% owner of four concessions totalling 160,000 hectares within the Tanah Merah project. Land clearing is on-going albeit slow. There is no FFB and CPO production yet. Most of the concession area consists of primary forests. BEST Group is an Indonesian based company with vegetable oil products as its main business. The company is owned by the Indonesian Tjajadi family, and is active in both the upstream (BEST Plantations) and downstream palm oil business (BEST Industry Group). BEST Group owns 5 refineries in Indonesia and has a combined refining capacity of 2 million MT/year. BEST Group is the 5th largest refiner in Indonesia, and the 10th largest in SE Asia. In addition to its refining activities, BEST Group operates four plantation subsidiaries in Central Kalimantan with a landbank of around 200,000 ha. None of the plantations have been assessed by the RSPO. PT Hamparan plantation was criticized for child labor and forced labor. Earlier research shows that three other BEST-subsidiaries developed over 25,000 ha of peatlands. Over 1,450 fire hotspots were recorded inside their concessions in the period 2013-2015. Intercontinental Specialty Fats (ISF) is a Malaysian company that produces specialty fats and oils, primarily for the chocolate and confectionary segment. It is wholly owned by the Japanese Nisshin Group. ISF operates two refineries in Malaysia, one in Port Klang and the other in Dengkil town, with a combined capacity of 990,000 MT/year. In 2016, it handled 438,000 tons of CPO, of which 98,345 was RSPO-certified. Nearly all of the certified product was sold to customers in Europe. While the company does not have an NDPE policy, it does report that it ‘encourages palm oil millers to source not only from plantations but also smallholders throughout the supply chain that can help mitigate the negative impact of palm oil cultivation on the environment and communities’. There are two notable actors in this leakage market that have refining capacity outside of Indonesia and Malaysia. Felda IFFCO is a joint venture company between Felda Global Ventures (FGV) and IFFCO Holdings Limited. The company vertically integrates the sector activities of FGV and IFFCO. Felda IFFCO is an RSPO member, and has obtained a RSPO supply chain certificate. In 2016 FGV updated its sustainability policy, and revised it in 2017. The scope of this policy is limited to the FGV Group, and does not apply to joint ventures or other investments in which FGV does not have managerial control. A Felda spokesperson publicly confirmed that its joint venture with IFFCO and Tabung Haji is not covered by its policies, as Felda does not have managerial control. The company owns three refineries in Malaysia and Turkey, and a fourth joint venture refinery with Tabung Haji named PT Synergy Oil Nusantara (PT SON). PT SON causes great source of leakage risks, through CPO supplies from the highly contested Duta Palma Group, as was reported by CRR in 2016, and through its direct connections with TH Plantations, which was accused for clearing peatland and deforestation in North Kalimantan. Although PT SON adopted a sustainability policy in September 2017, its wording remains vague. The refinery has yet to publish its supplier list. Ruchi Soya is one of the largest integrated food manufacturing company in India. It is listed on the Bombay Stock Exchange Limited and National Stock Exchange of India Limited. The company was established in 1986 as India’s first soy processing company. Since 2004 the company is engaged in palm oil production through its own plantations in India covering an estimated 200,000 ha at present and two CPO mills. Ruchi Soya owns thirteen refineries for edible oil refining with a total capacity of 3.04 million MT per year. The company owns several subsidiaries worldwide, including Cambodia, Dubai and Singapore. While the company is a member of the RSPO, it does not have an NDPE sourcing policy in place. In addition to the Indian domestic market, the company exports (mainly soy products) to more than 60 countries. The company is exploring the possibilities to restructure the company into more subsidiaries. This way, the companies are expected to create more business opportunities and expand in the future. In September 2017, Ruchi Soya faced insolvency proceedings and announced a corporate restructuring that will result in a demerger of its business units into separate entities. As this paper shows, the leakage market currently consists of merely 26 percent of overall palm oil refining capacity in Indonesia and Malaysia. This market share is likely to shrink further in the coming years. Although implementation of NDPE sourcing policies is still very much underway, those that have adopted NDPE-policies represent a comfortable majority market share. With refining as the bottleneck of the palm oil supply chain, leakage through non-NDPE committed refiners represent a highly limited option for non-compliant growers. 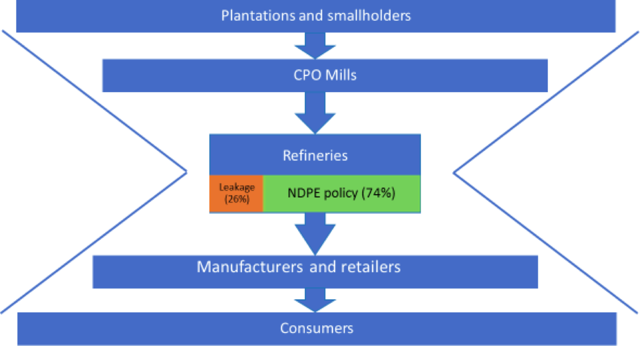 Figure 3: Simplified Palm Oil Supply Chain with NDPE vs. leakage market share. Source: Chain Reaction Research. Now, there are still many palm oil growers who attempt to maximize planting in their legally available land bank by opening up as much land as possible before they might be forced to stop. Such growers include Tunas Baru Lampung, POSCO/Daewoo, and associates of the ultimate owners of Indofood Agri, among others. Their land clearing is detected through satellite images and pursued by NGOs such as Greenpeace and Rainforest Action Network. 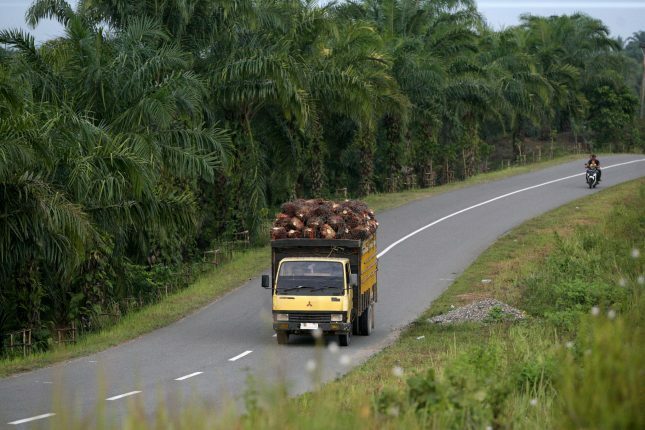 Felda Global Ventures recently overturned its earlier intentions to clear all remaining peat forest in its West Kalimantan land bank in the face of possible sanctions by buyers and government. FGV’s Board committed to restore the peat forest it had cleared after August 2016, when the group adopted its own NDPE-policy. Such decision results in both opportunity cost (being unable to plant up remaining land) and direct cost (peat/forest restoration). Although there will likely always be some leakage, the increasing transparency in the palm oil supply chain along with continued pressure from civil society, consumers and policy makers may push leakage actors in the margins of the market, forcing them to adapt to all associated negative consequences. Alternatively, growers may eventually embrace NDPE policies themselves. It is presently uncertain whether the market will welcome back such suppliers (such as Sawit Sumbermas Sarana) and if so, under what terms. Late-comers in the NDPE market may be expected to pay increasingly significant reparations for previous intentional or unintentional non-compliance. The RSPO implements a Remediation and Compensation Procedure (RCP) for companies that cleared land without High Conservation Value (HCV) assessment which has already set a precedent. With indicative financial compensation set at USD 2,500-3,000/hectare, the RCP is financially material. “83% of the refineries in the UK held by company groups with such policies” was changed to “100% of the refineries in the UK held by company groups with such policies”.